A researcher needs to discover specific virtual computer systems or storage volumes that might be relevant to their research. The researcher may or may not have registered with XSEDE and may or may not have an active allocation to use XSEDE services. Researchers are increasingly using externally hosted ("cloud") virtual machines to extend their computing environments without requiring capital investment. 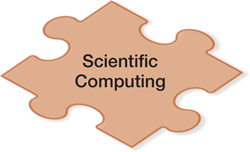 The ability to store, share, and reproduce the computing systems used to produce research products is important for our ability to validate scientific work.